Once upon a time, a researcher named Robert Rosenthal conducted a study. In that study, he gave a disguised IQ test to children in an elementary school in California. Following the test, the teachers of these students were informed by Rosenthal that some students performed exceedingly well, and should be expected to “bloom” and exceed academic expectations in the upcoming year. The “bloomers” were actually chosen at random, without regard to their actual test scores. The “bloomers” names were made known to the teachers. At the end of the year the test was administered again. In what’s known as the “Pygmalion Effect”, higher expectations from a leader, coach, or teacher lead to greater performance by the student. By expecting more from (and probably giving more positive attention to) a student, the student actually responds with an increase in performance regardless of innate skill, intellect, or natural capability. Conversely, in what’s known as the “Golem Effect” those students with low expectations, regardless of skill or capability, performed lower. This study has since been replicated, and the Pygmalion Effect confirmed, in countless research. Now for the coaching and training application. In what should now seem a pretty obvious assumption, the Pygmalion Effect can be witnessed very easily in the coaching and personal training arena. In the training world, expecting more from a client from the very beginning sets the tone of expectation. It also says “I believe in you” enough to hold you accountable to a higher standard. 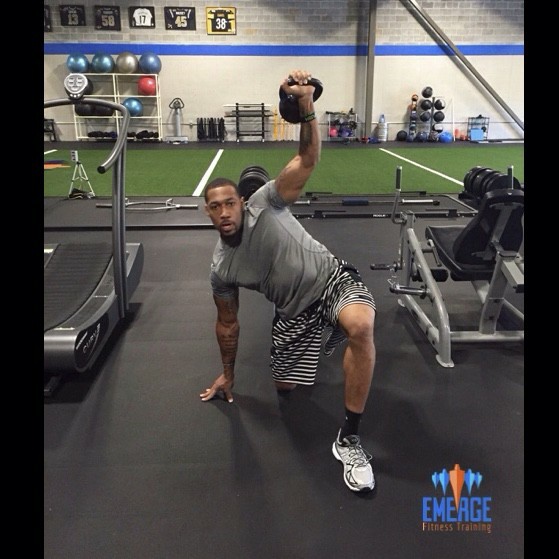 Korey Toomer went from practice team to NFL starting linebacker in the course of one off season. By setting lofty (but attainable) goals and not allowing feeble excuses to derail a clients progress, a trainer is re-asserting that belief in their client’s capabilities. Higher expectations lead to higher performance. Set your expectations high without being unreasonable. Demand, in a way that shows belief in a client’s potential, that the appropriate amount of effort be put forth to achieve the client’s set goals. Treat your clients in a manner that shows that reaching their goals is a forgone conclusion because you already believe it will happen. Simply stated, your belief that they can do it significantly increases the chances that they will succeed. Those clients will more often than not raise themselves to the level of your expectations because you show that you believe they will.